The Wiley Blackwell Companion to Ancient Israel is one of Wiley Blackwell’s several companion books. Aimed at producing "a multifaceted entry into ancient Israelite culture", each article addresses a unique scholarly focus in the study of ancient Israel, complete with brief scholarly history and current trends. The twenty-eight chapters of the book are not only well fleshed out introductions about various topics but support each other through internal references. For example, when discussing priestly theology in the final form of the Pentateuch, Stephen A. Geller simply references David Carr’s contribution to the volume. Consequently, Geller is able to continue with his discussion while not ignoring or dismissing a certain aspect in the study of ancient Israel, aspects which David Carr covers. Scattered throughout the volume are internal references, creating a web that allows the volume to stand on its own as an authoritative introduction and companion to ancient Israel. The volume is divided into three parts: methodology, political history, and ancient Israelite themes. Each part contains subdivisions with more specific elements. As a whole, the layout of the book is great as each article fills in valuable components to understanding ancient Israel. Because the book contains twenty-eight short, detailed essay introductions, the following will provide a succinct summary of each article along with a note of any strengths and shortfalls. Elizabeth Bloch-Smith (Archaeologist) considers the high value of archaeology as it offers an alternative historical perspective about ancient Israel when compared to the biblical representation of history. As an introductory essay, her contribution is important as it encourages students to engage with the material history of ancient Israel rather than limiting study to and assuming historical realities of the Hebrew Bible. Song-Mi Suzie Park (Assistant Professor of Old Testament at Austin Presbyterian Theological Seminary) examines how biblical authors envisaged their identity through a brief analysis of how the authors represent neighboring nations like Moabites and Philistines. 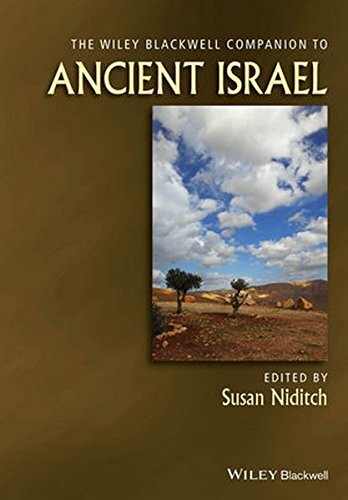 Her introduction the ancient Israel’s neighbors and how they are represented provides a platform for students and scholars to consider ancient Israelite identity. John R. Huddlestun (Associate Professor of Religious Studies at the College of Charleston) presents three varying conclusions regarding how ancient Egypt related to and potentially influenced Israel. This contribution is unique because it presents three arguments and implicitly encourages the reader to engage with options, not just accept them as fact. Steven Weitzman (Abraham M. Ellis Professor of Hebrew and Semitic Languages and Literatures at the University of Pennsylvania) briefly introduces a history of hermeneutical approaches and methodologies. His contribution is necessary especially for students because it is a concise and well-detailed introduction to how scholars have addressed the relationship between the biblical witness and historical reality. For its focus on methodological issues, this is one of the best contributions to the volume. Susan Niditch (Samuel Green Professor of Religion at Amherst College) challenges students and scholars alike to approach the Hebrew Bible as ancient Israelite folklore because it offers nuanced ways to approach what source criticism attempts to explain through looking at the artists and their audiences. Although Niditch does not discuss a variety of methodologies, her focus on Israelite traditions as folklore allows the Hebrew Bible space to speak as an artistic representation of ancient Israelite culture. Indeed, viewing Israelite traditions as folklore opens ancient Israelite culture to the modern reader; however, the lack of explanation as to how a folklorist perspective compares to other methodologies makes it difficult to fully appreciate the distinct views that folklorists offer. David Carr (Professor of Old Testament at Union Theological Seminary) introduces scholarly history about how the Hebrew Bible was formed from oral traditions to revised texts, with special focus on how manuscripts were joined, blended, expanded, and counter-written. For non-specialists, this contribution is extremely valuable because it encourages readers to engage with the Bible as a multi-voiced document which has been adjusted throughout history. Ohad Cohen (Semitic linguist and Hebrew Bible scholar) tackles the dating of biblical literature through linguistics via recognition of language influences in the Hebrew Bible (Persian, Aramaic, and Mishnaic) and brief analysis of 19 verses to demonstrate internal, diachronic linguistic developments. For such a technical field of linguistic dating, Cohen’s introduction is valuable in at least helping the reading to grasp how it operates. Christopher A. Rollston (Associate Professor of Northwest Semitic Languages and Literatures at George Washington University) focuses on epigraphy in the Levant during the Iron Age, illustrating the varieties of literature throughout the region and introducing important texts – monumental inscriptions and ostraca – that influence scholarly understandings of language and ancient Israel. Specificity about inscriptions, yet also his willingness to choose only representative inscriptions, permits the reader to attain a solid, basic comprehension of epigraphy in the Levant without overwhelming them with information. After briefly tracing the history of Israel’s emergence in scholarship and the subjective nature of ethnicity with regard to archaeology, Avraham Faust (Professor of Archaeology at Bar-Ilan University) presents his analysis of ancient Israel’s ethnogenesis, analysis taken and updated from his book Israel’s Ethnogenesis (Equinox, 2006). While archaeology is certainly subjective, Faust’s thoughtful consideration of Israel’s ethnogenesis through archaeology provides a stable starting point for research about the origins of Israel’s political history. Brad E. Kelle (Professor of Old Testament at Point Loma Nazarene University) considers the early monarchy, primarily focusing on the scholarship trends from the mid-1980s to the present. While he offers no innovations or additions to trends, he provides a well-balanced record of scholarship, presenting and critiquing trends like state formation theory. To study of the monarchy in ancient Israel and frameworks for interpreting it, Kelle’s work is a great place to begin. J. J. M. Roberts (Princeton Theological Seminary’s W.H. Green Professor of Old Testament Literature Emeritus (retired)) illustrates the history of ancient Israel from the divided monarchy (922 BCE) up to the second capture of Jerusalem (586 BCE). His preliminary focus on how to read DtrH is especially important because it directly indicates how students should engage with the Bible as a source of history. Likewise, his presentation of ancient Israel from 922 BCE to 586 BCE is detailed – whilst concise – and provides an important framework for reading the Hebrew Bible historically. Examining the Persian and Neo-Babylonian influence upon Israel, Charles E. Carter (Professor of Religion at Seton Hall University) suggests three strategies to studying the "exilic" period (territory, imperial context, settlement and position), refocuses on the presence of Judaean cities along with their economic and social situations, and discusses the socio-religious reforms. Highlighted throughout his article is the importance of avoiding terms such as "exilic" and "postexilic", which he claims "accept the would-be dominant gola ideology. Terms such as Neo-Babylonian and Persians… are more accurate" (236). While I agree that "exilic" potentially subscribes to gola ideology, Neo-Babylonian and Persian accept the dominance of imperial rule. Thus, his suggestion for different terminology in these periods is important in recognizing inherent ideological bias. It is also problematic, as any terms selected for representing the period will carry some sort of ideological baggage – in his case imperial ideological one. Matthew J. Goff (Associate Professor in the Department of Religion at Florida State University) discusses the Hellenistic Period, focusing on the broader advent of Hellenism up to Jewish Apocalypticism. Unlike many approaches which consider ancient Israel, Goff’s treatment is unique and fantastic for students because it illustrates Jewish Hellenism as a progressive cultural exchange and development in the midst of the greater movement of Hellenism. Essentially, he does not overemphasize how Jewish thought was influenced; rather, echoing the approach of Martin Hengel, he focuses on social influence through political, socioeconomic, cultural, and religious factors. Consequently, his illustration of Hellenism in Judea and the Diaspora communities is filled out, highlighting how Hellenism propelled forward and interacted with Judaean and Diaspora ideas through social, cultural, religious, and economic factors. Neal Walls (Associate Professor of Old Testament Interpretation at the Wake Forest University School of Divinity) introduces prominent deities in ancient Israel’s region and how Yahweh is represented within the ancient Near Eastern environment. His contribution is helpful because it primarily focuses on regional deities, providing a thorough background for the reader. Problematic, though, is the historical distance between Ugaritic mythologies of El (12th century BCE) and various representations of Yahweh. Acknowledgement of the distanced history would be helpful and easily solved by referencing Avraham Faust’s contribution about the emergence of Israel in the second-half of the 13th century BCE. In doing so, he would demonstrate why Ugaritic mythology and representations of Yahweh can be compared. Mark Smith (Skirball Professor of Hebrew Bible and Ancient Near Eastern Studies at New York University) reviews modern issues surrounding the term monotheism, the history of Yahwism contextualized in the ancient Near East as monotheistic tendencies developed, and aptly discusses how monotheism had reshaped ideas of what constituted divinity. Smith’s contribution contains two valuable elements. First, his assistance in drawing out baggage of the popular term monotheism provides important information about a word that may impact terminology and methodology of students. Second, while many realize the novelty of Judaean monotheism, I appreciate his focus on how the development completely redefined divinity in general. S. A. Geller (Irma Cameron Milstein Professor of Hebrew Bible at the Jewish Theological Seminary) introduces the Priestly Theology (henceforth PTh) of the Tetrateuch, especially focusing on the priesthood, cult, and sacrificial system. While his introduction to the textual data is fairly thorough, I have one major contention with his contribution. Geller seems not to put enough focus on the material reality of ancient Israelite ritual. For example, when discussing the function of blood rites upon the Holiest Place, he notes that "How this unique blood rite attains atonement is not stated. On the contrary, it is essential that it remain a mystery of faith" (302). Likewise, overall his representation of the PTh tends to focus purely on literary effects of certain choices. Although literary analysis of PTh is important, it is just as valuable to recognize that the PTh was also within a material reality. I also took issue with his representation of Zadok. Some scholars have pushed against the historicity of Zadok (MacDonald, 2015; see also Alice Hunt, Missing Priests: The Zadokites in Tradition and History, 2006); yet, Geller presents the Zadokite priests as if they were a genuine historical group of priests. Robert R. Wilson (Hoober Professor of Religious Studies and Professor of Old Testament at Yale University) engages with the phenomenon of prophecy, providing its history of scholarship and operative function and source within ancient Israel. For a basic introduction to prophecy in ancient Israel, this article is an excellent choice, as it presents a basic picture and doesn’t make any significant arguments about prophecy. John J. Collins (Holmes Professor of Old Testament Criticism and Interpretation at Yale University) introduces apocalypticism with attention to the development of it from Persian prophecy. Most beneficial about this article is its attentiveness to the historical development of apocalypticism rather than just attempting to pinpoint what is and is not apocalyptic literature. Francesca Stavrakopoulou (Professor of Hebrew Bible and Ancient Religion at the University of Exeter) examines household materials to provide a snapshot of how religion functioned in ancient Israelite households. Stavrakopoulou clearly presents the religion of ancient Israel homes without utilizing biblical texts as the foundation for her portrayals, consequently constructing an important image for readers to understand the average person from ancient Israel. Raymond F. Person Jr. (Professor of Religion at Ohio Northern University) considers the transmission methods of education and traditions in ancient Israel. His article is important for understanding not only the methods of transmission but also the ways in which they overlapped within the culture, namely via literary and oral transmission. T. M. Lemos (Associate Professor of Hebrew Bible at Huron University College at Western University) traces the social history of Israel, with special regard for kinship, community, and society from its emergence in the 13th century BCE to Judea in the Hellenistic period. Her contribution does well in tracing ancient Israelite society as a non-static, fluid people group and should be used to demonstrate to students ancient Israel’s social fluidity over time. Bernard M. Levinson (Professor of Classical and Near Eastern Studies and of Law at the University of Minnesota) and Tina M. Sherman (Ph.D. candidate in the Department of Near Eastern and Judaic Studies at Brandeis University) introduce the major law collections and legal literature of the Hebrew Bible to demonstrate how the "constitution" of ancient Israel was "a model of ongoing renewal of its legal and religious heritage" (412). The manner in which Levinson and Sherman present their data is interesting because it makes the law and legal literature more relevant to a modern audience. For this factor, I greatly appreciate the article. Carol Meyers (Mary Grace Wilson Professor of Religious Studies at Duke University) thoughtfully considers the role of women in ancient Israelite daily life, pushing against ideas of "domestic work" formed during the industrial revolution and emphasizing the social complexities and large communal benefit of women. Beyond the scope of her contribution, I like the question that she raises of the disconnect between archaeology and textual records of women (See Carol Meyers, "Double vision: Textual and archaeological images of women" in Hebrew Bible and Ancient Israel 4). J. David Schloen (Associate Professor of Syro-Palestinian Archaeology in the Oriental Institute and the Department of Near Eastern Languages and Civilizations of the University of Chicago) focuses on the economy and society of ancient Israel during the Iron Age. As part of the volume, I greatly appreciate his contribution because economic observations need more sustained attention, especially with the primary use of archaeology, made known to the public and incorporated in biblical studies and studies of ancient Israel. Edward L. Greenstein (Meiser Professor of Biblical Studies at Bar-Ilan University) introduces a variety of literary and rhetorical techniques commonly utilized in the ancient Near East and emphasizes their artful roles and great care to aesthetic principles. Greenstein’s contribution is by far a necessity for literary studies of the Hebrew Bible. As he covers texts ranging from Mesopotamia to the Levant and Egypt, the broad coverage of literature clearly demonstrates the literary environment in which ancient Israel existed. Tamara Cohn Eskenazi (The Effie Wise Ochs Professor of Biblical Literature and History at Hebrew Union College - Jewish Institute of Religion) explores literature in the Persian period, the Ketuvim (or the Writings) and highlights how the documents reflect a Persian context. Eskenazi’s focus on the human realities of the Ketuvim provides a unique perspective, one which is scholarly and also takes seriously the plight in which writers and represented audiences partook in. Benjamin G. Wright III (University Distinguished Professor in the Department of Religion Studies at Lehigh University) introduces Second Temple Period Literature; however, rather than merely describing genres as found in James Charlesworth’s The Old Testament Pseudepigrapha, he introduces five different categories of Second Temple Period Literature, based on George J. Brook’s list, that both attest to the commonalities and differences within Judaism of the period. Although the categories are extremely broad, their use at organizing literature proves fruitful. Theodore J. Lewis (Blum-Iwry Professorship in Near Eastern Studies at John Hopkins University) covers the interdisciplinary field of iconography and advocates for analysis of Yahweh’s representation as abstract, rather than merely assuming an anthropomorphic representation. His argument is strongly supported by his brief analysis of the representation of divinity across the ancient Near East. Especially in an increasingly secularized society (I do not mean the term pejoratively in any way), the tendency is to see Yahweh, or other deities, made in man’s image. I appreciate Lewis’ call to re-orient towards more abstract understandings of divinity. Overall, I have no doubts that this volume is one of the most valuable contributions to the study of ancient Israel. Most handbooks and encyclopedias relating the Hebrew Bible and ancient Israel cover a significant breadth of scholarship. This volume, though, deeply engages with 28 aspects of ancient Israel on their own terms. Furthermore, each contributor's brief introduction to the history of scholarship and discussion of current trends establishes the companion to ancient Israel as one of the best places to begin any research relating to ancient Israel. While the book is oriented towards scholars, one must determine the status of the scholar. In this case, the companion is more suitable for student-scholars. Practiced scholars with lengthy experience may find some of the articles and information repetitive for their area of focus. In contrast, certain contributions will assist them if they desire to move in a different direction and obtain a different perspective on a certain issue. More likely is that this book will be a cornerstone for serious student-scholars as it engages the reader with a great variety of information, methodologies, and topics. I highly recommend The Wiley Blackwell Companion to Ancient Israel. For any student in or applying to graduate school, it is a must read because it presents a broad, succinct, and detailed snapshot of current scholarship and ancient Israel. Originally posted at The Biblical Review. Brown, William. "The Wiley Blackwell Companion to Ancient Israel." Ancient History Encyclopedia. Last modified January 24, 2016. https://www.ancient.eu/review/99/. Brown, William. "The Wiley Blackwell Companion to Ancient Israel." Ancient History Encyclopedia. Ancient History Encyclopedia, 24 Jan 2016. Web. 18 Apr 2019.